1. 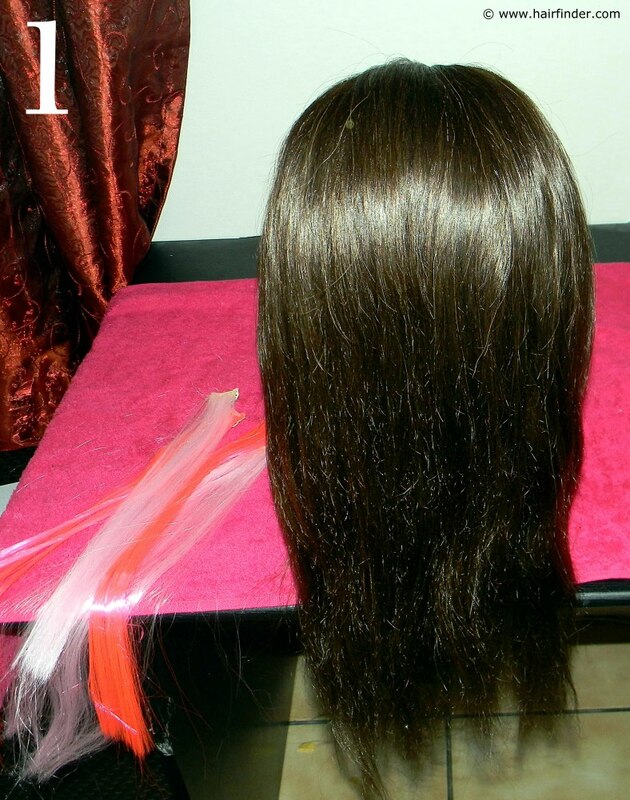 Comb the hair of the model all the way to the back of the head. Make sure that you get rid of all the tangles and knots. Note that we’re working with dry, clean hair. 2. Comb the hair backwards and pull the hair into a very neat ponytail. The neatness of the ponytail is paramount, as it will be a huge contributing factor of the “perfect” part of your perfect sock bun. After you have secured the hair into a ponytail with your hair-band, take the long end of a teasing comb and your hairspray. Spray and comb the hair very carefully to smooth away any imperfections or fly-away hair. Take care not to comb too vigorously or deeply into the surface of the hair, as this will only disrupt the ponytail. 3. 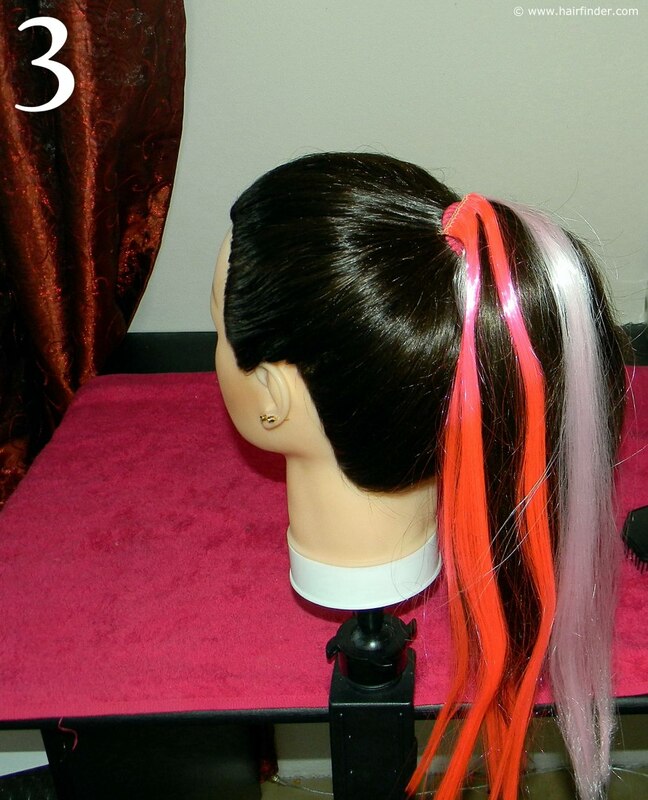 Insert the colored hair extensions on the base of the ponytail. 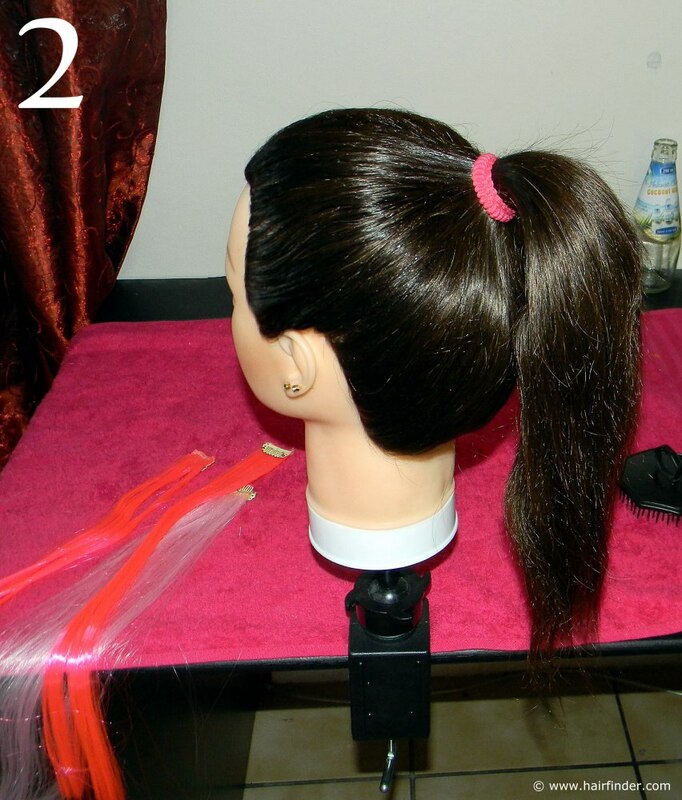 Again do this very carefully as not to compromise the surface of the ponytail, yet is it important that the extensions are inserted in a secure way. The last thing you want to happen is for the extensions to come loose later in the styling stages, or during your event. 4. Again use the long end of your tease-comb and comb the hair of the clip-in extensions so that it meshes with the rest of the natural hair of the ponytail. This is important as you want the colored hair to mix with the natural hair, to get a more balanced, natural look. 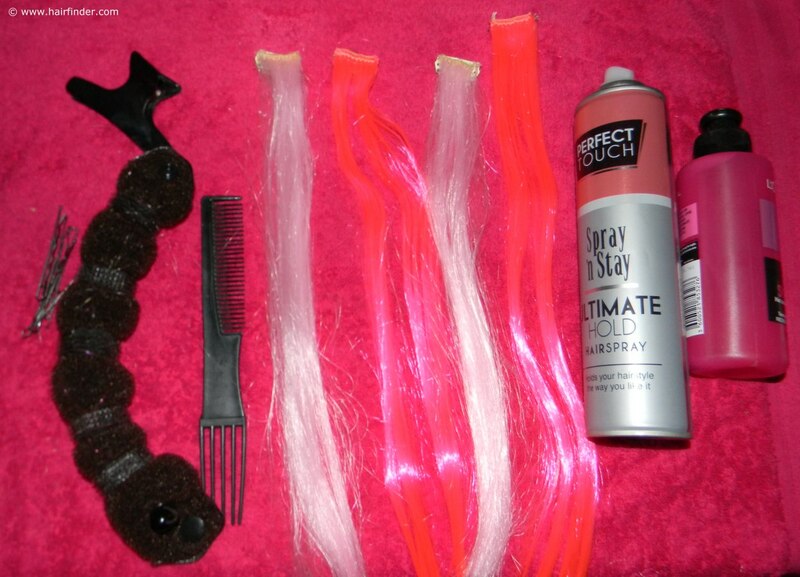 You can use the spray and comb method here again, as this will help to make the hair easier to work with, and increase the structural stability of the sock bun. 5. 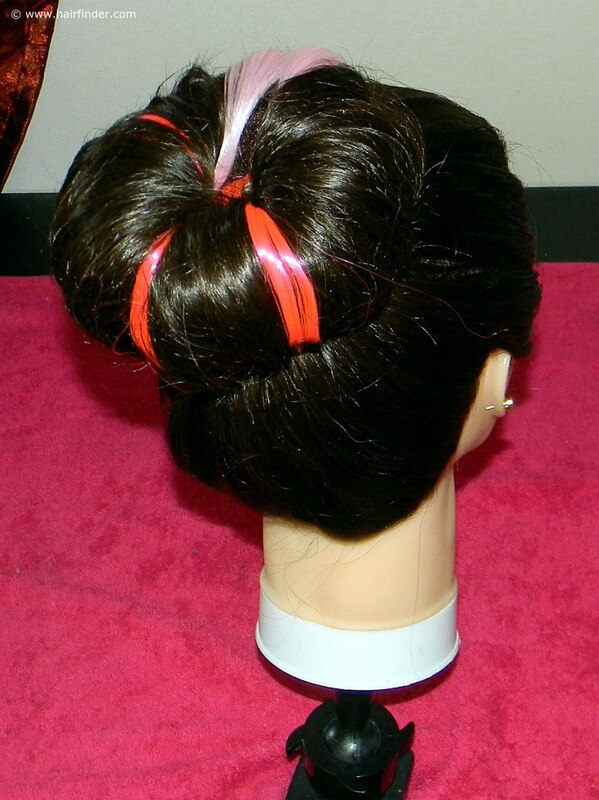 Take your sock bun roll and gently distribute the volume of the hair along the length of the roll. You’ll note that this sock bun roll is dark brown. Light brown and gold colored rolls are also available to accommodate lighter hair colors. Once you’re satisfied that the hair is distributed evenly, start to roll the sock bun roll towards the base of the pony tail. Do this as gently and neatly as possible. 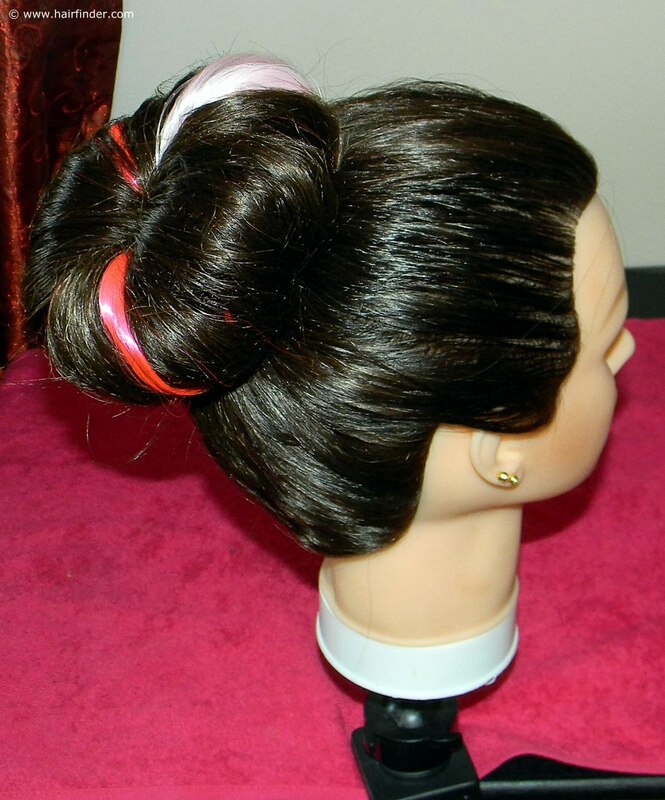 You may use the spray and comb method to aid you in achieving a flawless look and simultaneously strengthen the structural base of the sock bun. Take care not to over-spray though, as this will cause droplets of hairspray forming, which will in turn be sticky; eventually ruining the smooth surface that you’re trying to achieve.